For all the DJ's who still enjoy bumping this track, here's a DJ friendly, 16 bar intro... 16 bar outro, version which is very compatible for almost any type of mixing. or you can direct download it here. 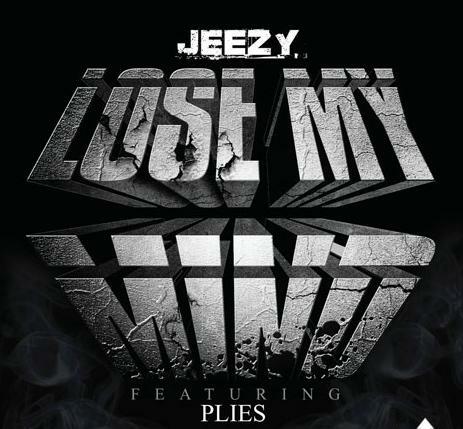 Be sure to support Young Jeezy's Lose My Mind at Amazon. 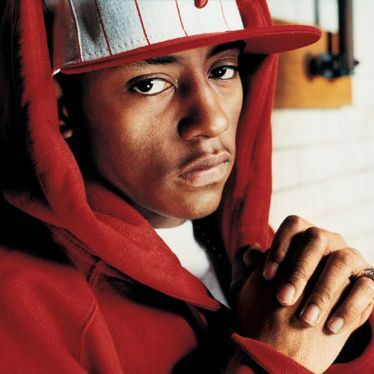 For all DJ's, be sure to check out the exteneded (16 bar intro/outro with break in the middle) version of Cassidy's "Back In The Days". This is already one of Cassidy's best songs and it is now available for everyone who needs that DJ friendly version to mix in and out of other tracks. Download the DJ friendly version here. You can also stream this track at http://djdiamonddog.com. Thanks for the support everyone & go support Cassidy's album... C.A.S.H. (Cass A Straight Hustler)... when it drops on September 28th. 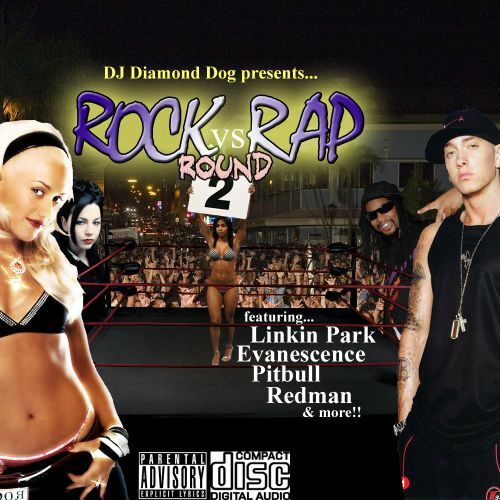 Rock vs. Rap (round 2) --- OFFICIAL RELEASE!! With 99 tracks (that's right... 99), this HUGE mashup mixtape goes HAARRRDDD. Forget everything that you ever thought about the relationship between rock 'n roll & hip hop, because this cd will change your perspective of mixing, mashups and mixtapes in general. 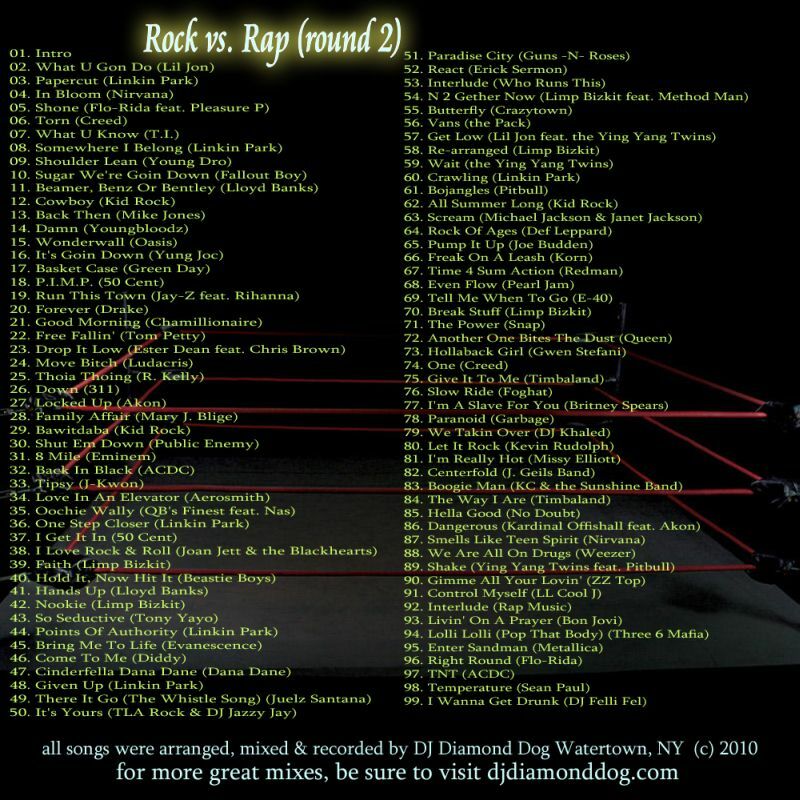 Do NOT sleep on this cd.Be sure to check djdiamonddog.com for more information on this unique and unparalleled mixtape and sound of the future! !